Pharmacist spotlight series – Michael Clark and Michael Jarvis - Sentry Data Systems, Inc. Pharmacist spotlight series – Michael Clark and Michael Jarvis - Sentry Data Systems, Inc. According to the Department for Professional Employees, there were 282,000 practicing pharmacists in 2015, and employment is expected to grow six percent from 2016-2026. Pharmacists play a vital role in today’s healthcare system by improving patient care and treatment outcomes. This week we’re talking with Michael Clark, Solution Product Executive and Michael Jarvis, Senior Solution Product Executive. Sentry: What does your role at Sentry entail? Michael C: My day-to-day responsibilities vary widely and are always in flux. Changes in the industry, such as recent changes in the 340B program, also affect what we do every day. I like to think of my position as a subject matter expert. 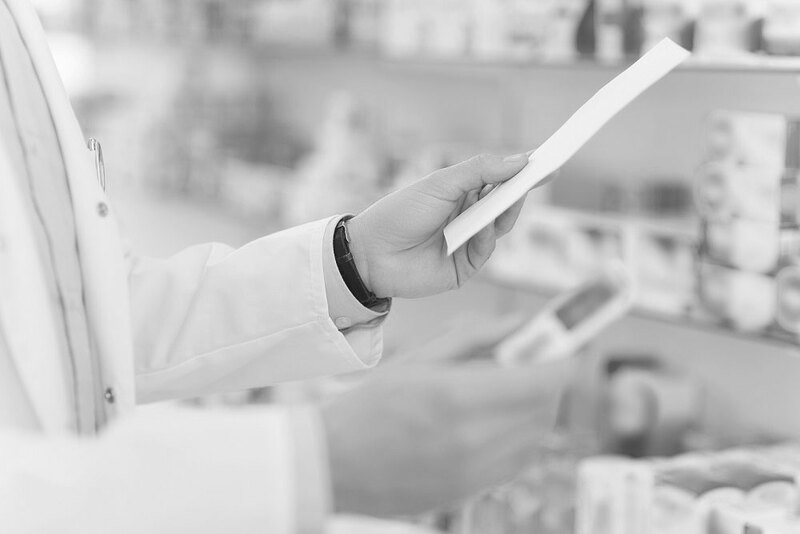 As pharmacists, we’re able to work with our customers and advise them on their clinical and business challenges. Pharmacists like talking to pharmacists; being able to have a peer to talk to instills greater confidence. Internally, I’m involved with sales, customer service, development and implementation. I help customers at every stage, from onboarding to optimizing the tools down the road. Additionally, the development of our Senturion Services team allows us to more formally offer the guidance that customers expect, delivering the expertise that comes with our tools. Sentry: How did you discover your passion for healthcare? Michael C: I’ve been a former director of pharmacy at a few different hospitals and for a hospice organization and worked as a consultant for Ernst & Young. My career path has touched many areas of healthcare. I didn’t choose my career; it chose me. The origin of wanting to be in healthcare came from my parents. My dad was an attorney, but he noticed and pointed out my skillset early. And my mom was a nurse, so it was my dad who presented the idea of a “practical” job in healthcare, of perhaps being a scientist, combined with seeing my mom in the role of a direct healthcare provider, watching her help people, that were the driving forces. Sentry: What is the importance of the pharmacist role in hospitals in today’s healthcare climate? Michael C: Pharmacy has evolved and is now a major player in the overall healthcare team. It’s great for us to have a chance to relate to our customers, who are helping patients, even though we are one step removed from direct patient care. Being able to trace what we do back to the patients has always been the guiding principle for me. If I can continue to remember and relate what I do back to the patients, then I’m satisfied in my work. As drug therapy has become more complex, the need for pharmacists to have ever-more clinical knowledge continues to grow. We need to know more about not just the names of drugs, but what they would do in each patient’s particular case. I went back to school to earn a PharmD degree because I believe it’s more important than ever to understand drugs and patients in the way a physician might view a disease state. That’s one part of it. The other part of how pharmacy has grown is the financial implications of drug therapy. Pharmacists are on the front lines of understanding the value of drugs that can treat diseases like cancer and blindness with results we’ve never seen before in the history of healthcare, but also seeing how price tags of hundreds of thousands of dollars can affect patients. It’s important for a pharmacist not only to know which drugs have the power to add years to a patient’s life, but also to be able to navigate the financial waters. That’s where issues like recent 340B changes come into play, when you think about being able to provide help to patients, but on a path that makes it more bearable financially. We have to be aware of all these perspectives now, especially at a time when we are asking ourselves: At what point are pharma companies putting profits ahead of people? Sentry: What is the best part of your job at Sentry? Michael C: I think it’s being able to know that we at Sentry are a leader in real-world data, and that we play such a strong role in not only getting the right information to our customers but transforming it into actionable intelligence. I think the most satisfaction I get is in knowing that I am a part of that. I enjoy having face-to-face moments with our customers, talking directly to the pharmacists on the customer side who are a part of the sales meetings or implementation process, walking them through what can be a difficult concept, and watching the lightbulb go on for them. I enjoy seeing the moment when it clicks for them, when they see how our product works and how much they can achieve with it and helping them understand their business better. Michael J: My role involves analysis and assessment of our clients’ 340B program performance from a financial and regulatory compliance perspective. It requires knowledge of the 340B program rules and regulations, and hospital pharmacy operations and finance, so that we can provide answers and recommendations for optimization of our clients’ 340B programs. It is a client-facing role that requires the ability to effectively communicate how the pharmacy is operating, utilizing the Sentry software applications, and producing the current results. We provide recommendations on how the clients can optimize the use of their Sentry applications to improve overall program performance. Sentry: How does being a pharmacist help contribute to or impact your role at Sentry? Michael J: As a pharmacist, I have firsthand knowledge of the various operational workflows for drug distribution, drug administration, pharmacy purchasing and inventory management. This pharmacy operational knowledge and experience, coupled with a deep understanding of Sentry software functionality, allows myself and other Sentry pharmacists a greater opportunity to provide assistance and support to our clients. As a Sentry pharmacist, I am able to communicate directly with the hospitals’ directors of pharmacy and their 340B program management team at a level that we all understand. I am able to apply practical experiences and knowledge to address our clients’ current needs and provide recommendations and solutions. Michael J: Hospital pharmacists have an increasingly important role in today’s healthcare climate. Pharmacists are participating at a higher level than ever before, working directly with physicians and nurses to deliver the best possible care to their patients. Pharmacists are able to provide important information about drug dosing, administration, and monitoring patient safety to ensure a positive outcome. Pharmacists provide knowledge on how improvements can be made to enhance the delivery or distribution of drugs to decrease the time to drug administration, which can significantly improve patient outcomes and safety.